On March 22, 2013, SSA’s new policy interpretation ruling [SSR 13-2p] became effective. This ruling replaced a 31 year old ruling SSR 82-60. The new SSR was based on not only SSA’s existing literature but also on information from medical and legal experts along with the Substance Abuse and Mental Health Services Administration. It is a complex and comprehensive ruling. The new SSR beings with the acknowledgement that under, 42 U.S.C. 423(d)(2)(c), of the Social Security Act, a claimant “shall not be considered to be disabled. . . if alcoholism or drug addiction would. . . be a contributing factor material to the Commissioner’s determination that the individual is disabled.” 42 C.F. R. § 404.1535 addresses how the Commissioner will determine whether a claimant’s drug and alcoholism is a contributing factor material to the determination of disability. Interestingly, the new ruling includes two mental disorders, that are considered, substance-induced disorders. These two disorders are substance-induced persisting dementia and substance-induced persisting amnestic disorder. When a claimant has symptoms from either of these 2 substance-induced disorders, the model for assessing materiality for drug and alcohol is employed. 1. 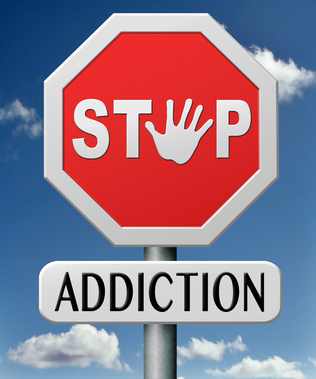 Does the claimant have drug addiction and alcoholism (DAA)? If no, them DAA is not material. If a DAA exists, then onto step 2. 2. Is the claimant disabled considering all impairments, including DAA? If no, then there is no DAA for which to determine materiality for DAA. If yes, then onto step 3. 3. Is DAA the only impairment? If yes, then there is a denial, if no then onto step 4. 4. Is the other impairment disabling by itself while the claimant is dependent upon abusing drug or alcohol? If no, then DAA will be found to be material and the claim will be denied. If yes, the onto step 5. 5. Does the DAA cause or affect the claimant’s medically determinable impairments? If no then DAA is not material and the claim will be allowed. If yes BUT the other impairment is irreversible or could not prove to the point of non disability, then DAA is not material. If yes, but DAA could be material then onto step 6. 6. Would the other impairment improve to the point of nondisability in the absence of DAA? If no then DAA is not material and an allowance should be made of the claim. If yes, then DAA is material and the claim will be denied. In a case where the claimant has a co-occurring mental disorder the person deciding the claim must decide whether that co-occurring mental disorder will improve in the absence of DAA. The Commissioner expressly prohibits the decider to rely exclusively upon medical expertise and the nature of a claimant’s mental disorder. Rather, the Commissioner may purchase a CE to help establish whether a claimant who had no treating source records in addition to DAA. Finally, the Commissioner has indicated in the new ruling that use of drugs or alcohol does not in itself establish the existence of a medically determinable Substance Use Disorder. For example, a DWUI arrest, a third party report or a self-reported drug or alcohol use does not establish DAA. The reason is these pieces of evidence are not from an acceptable medical source. In addition to objective medical evidence needed to establish the claimant has DAA, there must also be evidence that establishes a maladaptive pattern of substance use along with the other requirements of Substance Use Disorder as set out in the DSM.